Back to the Future is the 1985 film that has shined as the end-all-be-all time traveling movie. 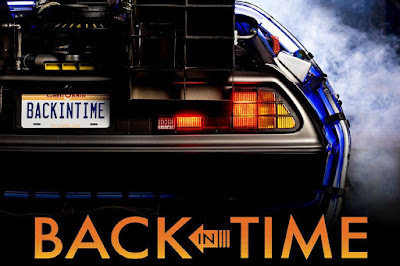 It probably has one of the largest fan bases that spans multiple generations an now we the fans can get a peek into the making of the film with the documentary Back in Time. A new documentary about the time-traveling classic. Among the surprising bits revealed in just the trailer is a story from series star Michael J. Fox about sitting next to Princess Diana at the film's premiere. "I realize that the seat next to me is empty. And it dawns on me that Princess Diana is going to be sitting next to me," Fox explains in an interview. "The movie starts and it occurs to me that I'm a fake yawn and an arm stretch away from being on a date with the Princess of Wales." The trailer for the documentary premiered online on Monday, the same day that news broke that Fox and Christopher Lloyd would be reprising their roles from the trilogy for a new video game, Lego: Dimensions. Back in Time will open in select theaters on Oct. 21, 2015 – a date that Back to the Future diehards will no doubt recognize as the one that Fox's character arrives at when he travels forward in time in Back to the Future Part II.